Local Cash Home Buyers in Suffolk and Nassau County you can trust. Welcome to Comax Properties. We’re a cash home buying company located in Nassau County that serves homeowners in both Nassau County, Suffolk County and the greater Long Island, NY area. We pay cash for homes in any condition, no matter how run-down or in need of work the house is. Hi, my name is Joe Cordes and I am the owner of Comax Properties, a family-owned local real estate solutions company located in Lynbrook, NY. I would like to tell you a little bit about us and our company and why we love what we do! I grew up in Queens, NY and I am the proud son of a NYC firefighter. I loved growing up in Queens and always enjoyed spending time in Long Island. I stayed local when I went to school, graduating from Brooklyn College and getting my Graduate Degree from Marist College in Poughkeepsie, NY. When I was just 23 years old, I purchased my very first investment house in Rockaway Beach, NY. That first house purchase started me down a path that I’ve passionately pursued for the last 30 Years investing in Queens and Long Island. I’ve renovated and re-sold dozens of homes and love the satisfaction of taking an old and neglected house and making it look new. It’s rewarding to see someone move into a new beautiful home, and it’s also rewarding to know that I am helping to improve neighborhoods. I love when neighbors stop by to compliment and thank me and my team for making a house beautiful again. I also own and invest in local multifamily rental properties that I’ve purchased distressed and then renovated them to make them beautiful to rent to local families. We’re cash home buyers who care about you. You’ve probably seen that there are a lot of cash for homes companies here in Suffolk and Nassau County, so let us share what sets us apart. Besides being family-owned, and committed to our Long Island community, I also run an ethical business. That means we are honest, do what we say we are going to do and pay what we say we will when closing time comes. Some companies out there change up the offer amount during the closing process, but that’s not us. We never pressure you or make you feel obligated to take an offer I make on your home. More than that, we will help you every step of the way to ensure you have a hassle free experience. If you ever have questions, we’re transparent, honest, and ready to help any way we can. You can always call me direct on my personal cell phone! Together with my wife and our growing team of real estate professionals, we work to serve Long Island homeowners with our many real estate strategies. Between our experience, our systems, and our relationships, there isn’t a real estate situation that we can’t help someone with. 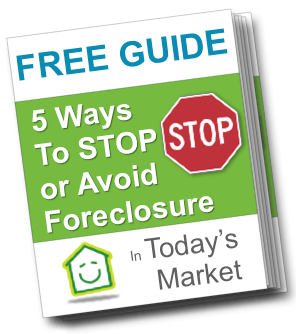 So, if you’re struggling with foreclosure or going through divorce and want to sell, or own an unwanted inherited property or need to sell a house for any reason call us and let us help.Want to talk about your situation? Our team specializes in finding real estate solutions for sellers, no matter what their particular situation is. There is NO obligation, NO cost, and NO pressure!!! I hope to speak with you soon! We’re here to answer any questions you have. We’re ready to buy your home quickly if that’s what you need. Or feel free to give us a call, and we’ll be happy to answer any questions you have. Our offer is totally non-committal, and there is no pressure or obligation to take it. If you’re here just looking for more information, feel free to view all areas we buy houses in, how the home buying process works, or read our guides on selling your house fast in Suffolk and Nassau County.